Greater Noida: Overwhelmed by the customer response for its brand new 160cc sporty motorcycle X-Blade after its first unveiling at the Auto Expo 2018, Honda Motorcycle and Scooter India Pvt. Ltd. today delighted its motorcycling fans even further. 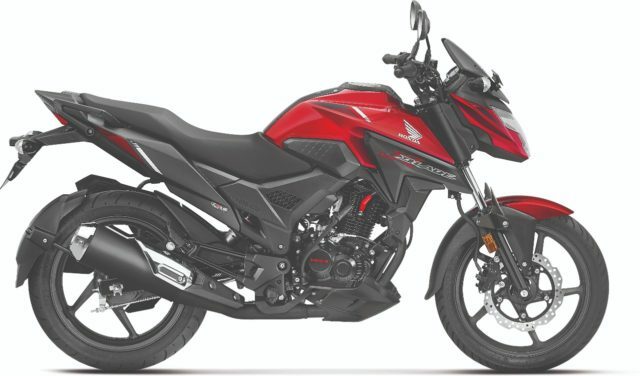 Honda 2Wheelers India announced Bookings Open for its brand new 160cc sporty motorcycle X-Blade. Youngsters can now book their X-Blade from their nearest Honda dealership. With its youthful appeal and sporty looks, X-Blade is born to transform the ride of millennials and success-oriented Generation-Z. The stylish and aspirational all-new X-Blade cuts through the dark with its transformer-inspired futuristic LED headlight – a segment first feature and sporty dual outlet port silencer. It’s aggressive and futuristic design is further accentuated by link type gear shifter, unique spilt grab rails, stylish alloy wheels with front disc brake, hugger fender and muscular graphics. Designed for those who stand out from the ordinary, the X-Blade strikes the perfect balance between sportiness and practicality. It is powered by the trusted 162.71 cc HET engine which promises legendary Honda refinement and reliability. The all new digital instrumentation comes with a Service Due Indicator and gear position indicator. The long 1347mm wheelbase and the wider 130 section tubeless rear tyre enhance stability in bad roads and ensures comfort during longer rides. Marking its presence on the road, X-Blade comes in 5 sporty colours – Matte Marvel Blue Metallic / Matte Frozen Silver Metallic / Pearl Spartan Red / Pearl Igneous Black and Matte Marshal Green Metallic.